Sculpted beautifully in 14k gold is a puffed heart adorned with glimmering diamonds in prong setting. They are arranged in a stunning infinity knot style. 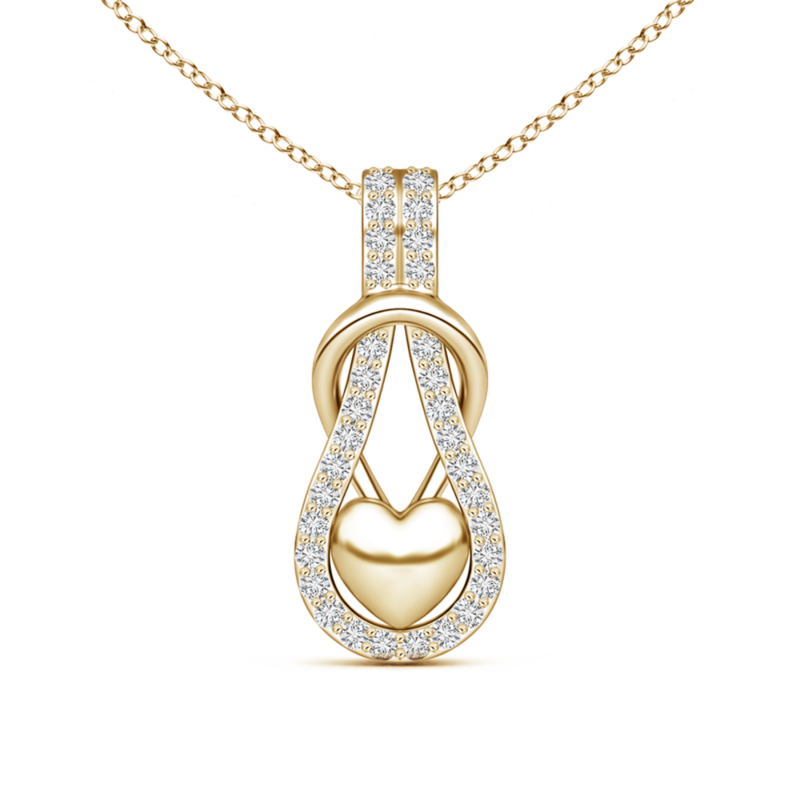 This exquisite lab grown diamond pendant necklace perfectly exemplifies everlasting love. Fashion jewelry refers to beautiful pieces that are created to make a statement. This particular jewelry style is inspired by the season's hottest trends, which are usually dictated by celebrities and fashion icons. More often than not, they feature aweinspiring and unique designs. Designed to turn heads, fashion jewelry is just what you'll need to turn your look up a notch. This product by Pure Ignis is a great way of expressing your personal sense of style.